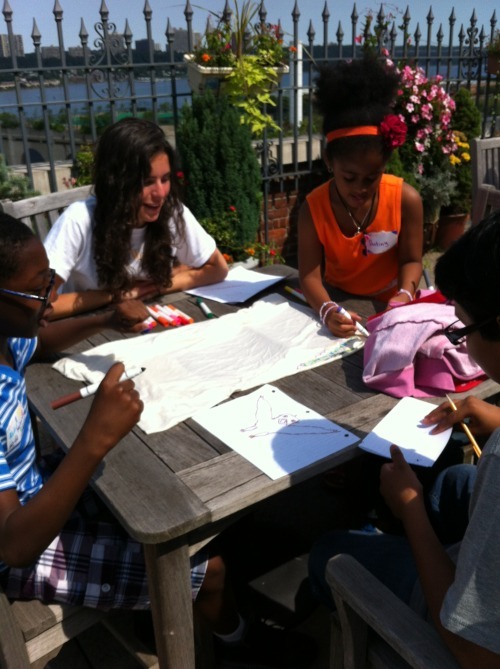 This is a week of excitment, anticipation, and joy as we launch the Harlem LitCamp at the Broadway Housing community! On Monday morning the girls and boys kicked things off by exercising their imaginations to create new countries, the first in a week of international themed activities. LitCamps enrich the summer with learning opportunities at a time of year that would otherwise mark a void in the reading and writing lives of low income children. With limited access to resources and safe places to read, children at risk lose precious academic ground. Every child deserves to fall completely in love with reading and writing, and to experience the amazing feeling of falling into another world!